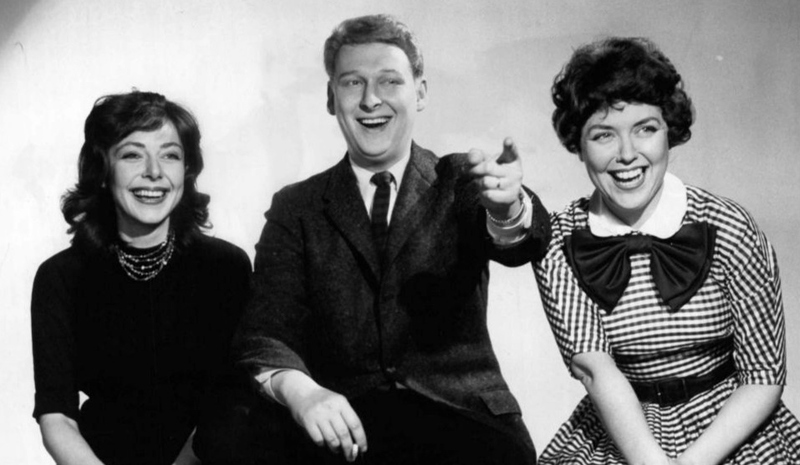 Dead of a heart attack at 83, Mike Nichols is remembered as director of intelligent films. Though he began his career with a comic improv duo with Elaine May, his hit movies were memorable for their depth. UsWeekly: Diane Sawyers said Mike Nichols was a romantic husband. New York Magazine Mike’s Revival of Death of a Salesman 2012, also talks about his history in comic improv performances. It’s not a film-maker’s job to explain his technique, but to tell his story the best way he can. I’ve never understood that aspect of DVDs, where you suddenly put back the things you took out that could go. Why ruin your movie? With material that you’ve taken out? I never get that. I don’t have that impulse… To put them back seems very unpleasant to me. And pointless. It’s like when you’ve written something, when you cut a paragraph, doesn’t it seem dead to you? Doesn’t it look like something you’d never want to include, because the point is, it could go? You’ll never see anything in my pictures, the stuff that came out, stays out. I love to take actors to a place where they open a vein. That’s the job. The key is that I make it safe for them to open the vein. When I was 17, for my first job, I worked at the midtown Howard Johnson’s. A customer asked me what our ice-cream flavor of the week was, which was a dumb question, because there was a huge banner showing that it was maple. So I told him that it was chicken. The customer laughed, but the manager fired me immediately. They were bastards there. [on Jack Nicholson] Jack is the sort of guy who takes parts others have turned down, might turn down, and explodes them into something nobody could have conceived of. All his brilliance of character and gesture is consumed and made invisible by the expanse of his nature. [on Elizabeth Taylor] There are three things I never saw Elizabeth Taylor do: Tell a lie; be unkind to anyone; and be on time. [on his experience judging a limerick contest] It was easy. We just threw out the dirty limericks and gave the prize to the one that was left. [on developing an act with Elaine May] We were winging it, making up as it went along, It never crossed our minds that it had any value beyond the moment. We were stunned when we got to New York. Never for a moment did we consider that we would do this for living. It was just a handy way to make some money until we grew up. Do you know my theory about ‘[Who’s Afraid of] Virginia Woolf’ which I think I only developed lately? It may be the only play – certainly the only play I can think of, including Shakespeare – in which every single thing that happens is in the present. Even the beautiful reminiscences of the past are traps being set in the present, sprung in the present, having violent effect in the present. It’s why you can’t hurt it. It’s now. It’s the one thing plays have the hardest time with. [on coming to New York as a child] American society to me and my brother was thrilling because, first of all, the food made noise. We were so excited about Rice Krispies and Coca-Cola. We had only silent food in our country, and we loved listening to our lunch and breakfast. [on firing Mandy Patinkin during making of Heartburn (1986)] I loved Mandy then, and I love him now. It was awful to have to replace him, but on film I couldn’t see the chemistry I wanted. I don’t know how many days it was, but to save the damn thing, I had to move fast to get Jack [Nicholson]. Mandy was, of course, devastated, and I’ve felt awful about it all my life. 1966: Who’s Afraid of Virginia Woolf?